That morning, Collier started making Djesse, a four-album cycle composed entirely during 2018 and featuring contributions from a global cast of his musical inspirations. It is one of the most audacious recording projects to emerge this decade from someone who has already established himself as one of music’s most brazen and electrifying new minds. Djesse is a universal wonder. Take, for instance, “Everlasting Motion,” the ecstatic rhythmic centerpiece of Djesse’s first volume. For years, the musically omnivorous Collier had studied gnawa, a spiritual and relentlessly percussive ancient sound rooted in Northern Africa. He loved its hypnotic rhythms and the way its vocals seemed to unfurl in endless ribbons. Collier wanted to collaborate with Hamid El Kasri, a modern Moroccan master of the form. He asked around, eventually obtained an email address, and sent a note explaining his backstory and project. Nearly three months passed. Collier had essentially given up on El Kasri, assuming that either the email address he had found was outdated or that one of Morocco’s living legends simply had no interest in such a nebulous project. In one story and one song, this is the spirit of Djesse. (Pronounced “Jesse,” the album’s name is an extrapolation of Collier’s initials, though he’s not the character at the center of this epic.) In these four albums, all written and engineered and produced by Collier, he has taken the singular approach to arrangement and harmony that have earned him acclaim since he was a teenager on YouTube and paired it with the artists he treasures. In the process, he has traveled from Los Angeles to New York, Tokyo to Casablanca, Nashville to Abbey Road with a compact version of his home studio in tow. Documenting a year in Collier’s life and of his musical loves, Djesse is a monumental testament to creative exploration and collaboration. And that’s just the start. As the volumes are revealed, different textures and themes and sounds will be explored in equally astonishing ways. Jacob imagined Djesse as a grand journey through space and time, and the volumes follow his path. In addition, across the quartiles nearly two-dozen collaborators will be featured, from pop stars and folk songwriters to guitar wizards and soul singers. Collier stands bravely at the center of it all, the writer, producer, arranger, and singer putting himself in conversation with the musical world at large. In times of political turmoil, the assumption is that the artistic response should be one of bile and vitriol, the raised fist of barbed punk or plaintive folk or urgent hip-hop instructing us how best to broadcast our anger and how best to organize it. Djesse isn’t a disavowal of that idea so much as an alternative that stares into a darkness with an irrepressible light, a universal ecstasy. 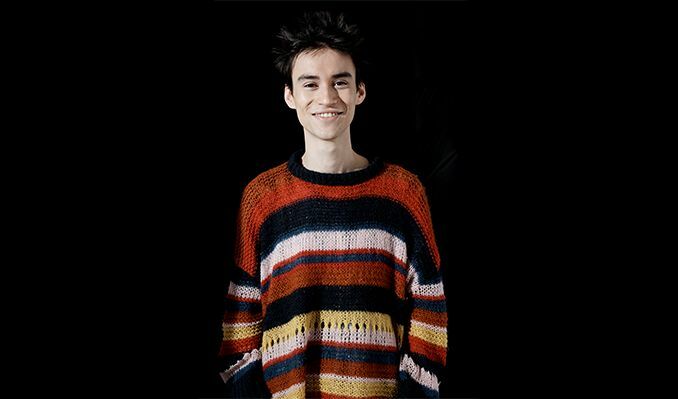 During these four volumes, Jacob Collier doesn’t merely embrace globalism or give it the deference of lip service. He lives it, sings it, arranges for it through songs that fight for something—music and its power to remind us of the connections we all share, the joy, and pain and humanity of being alive at all.